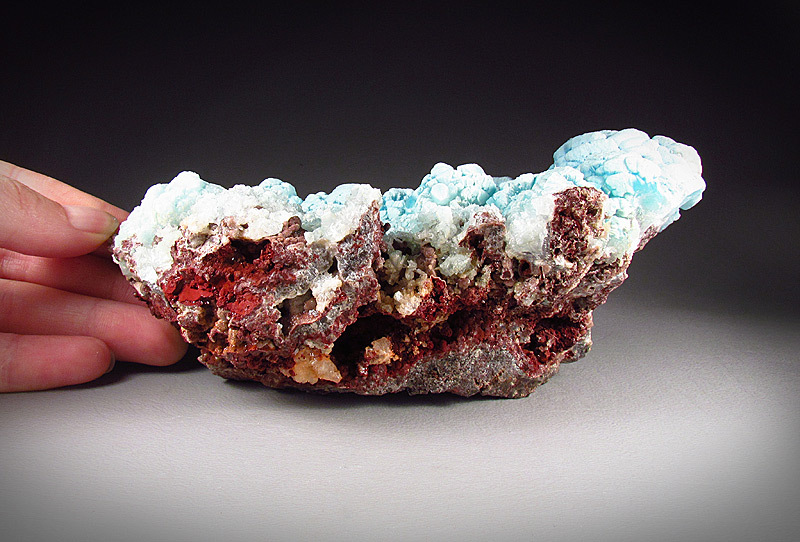 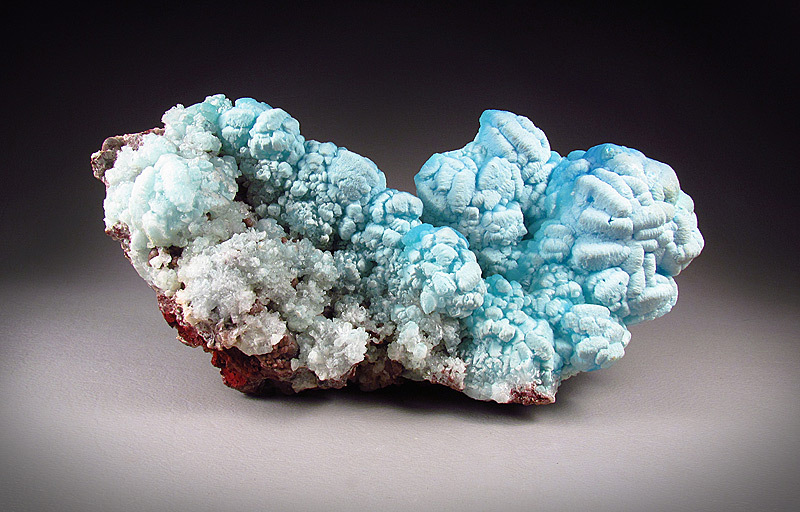 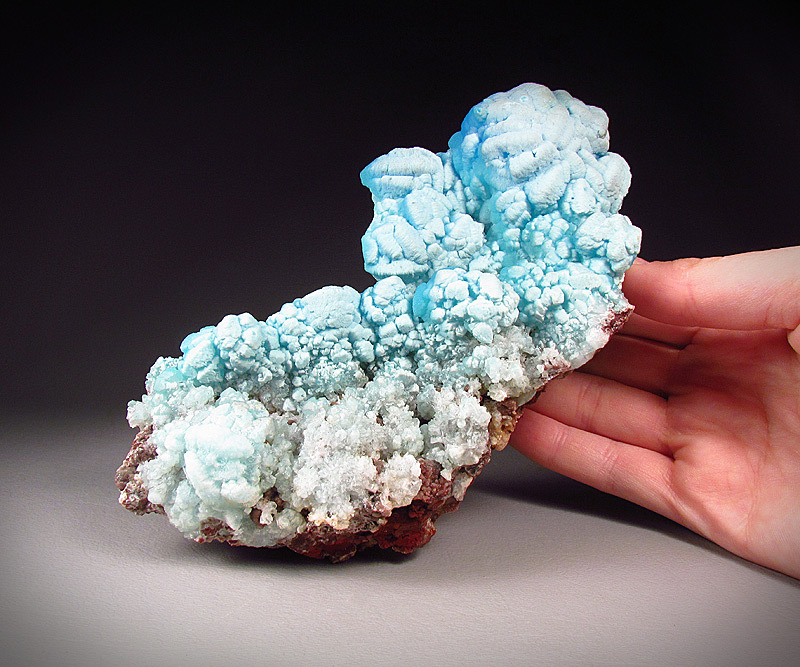 Blue hemimorphite balls have grown across a contrasting matrix. 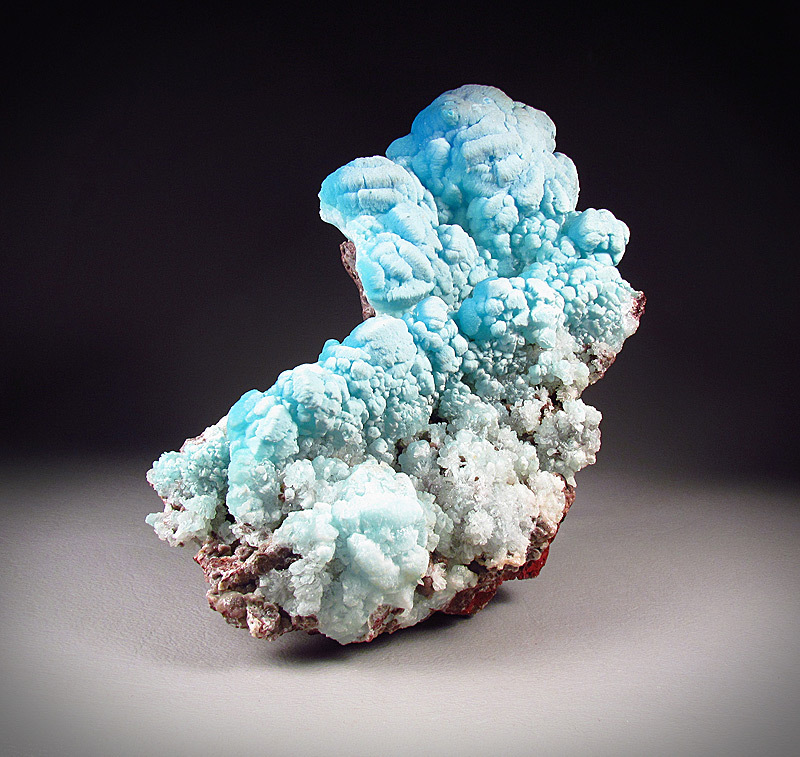 The locality is M'fouati Mine, M'Fouati, M'fouati District, Bouenza Department, Republic of Congo. 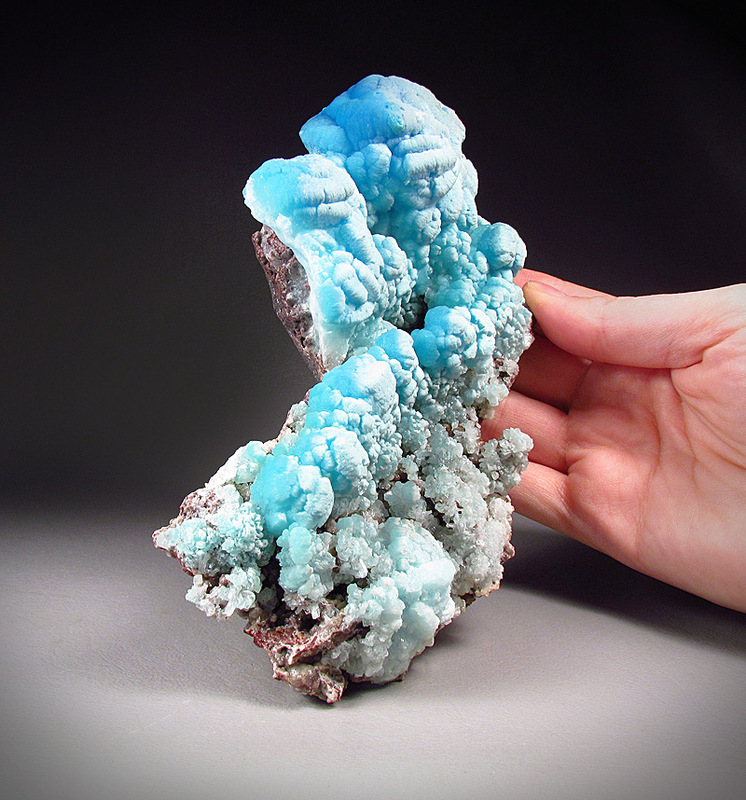 The piece measures 17 cm wide by 9 cm tall and 7 cm front to back. 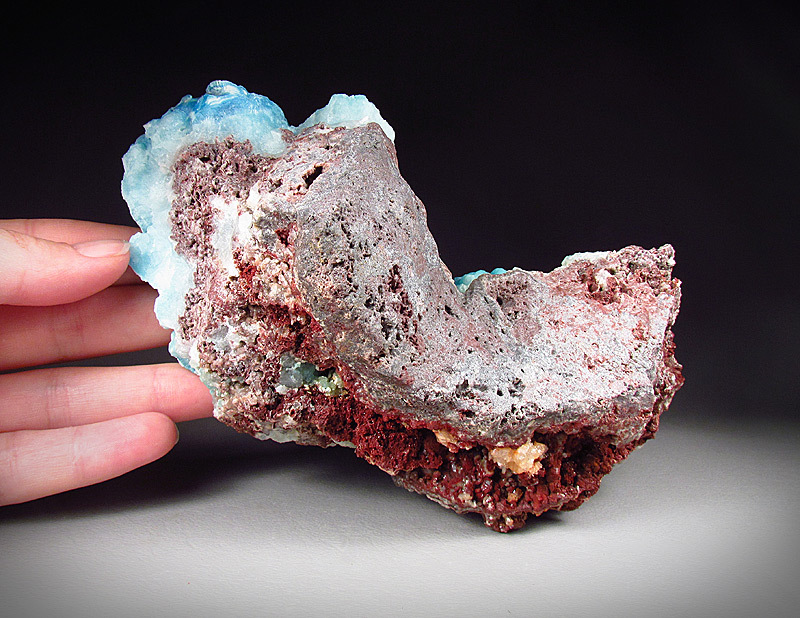 The luster of the piece is poor. 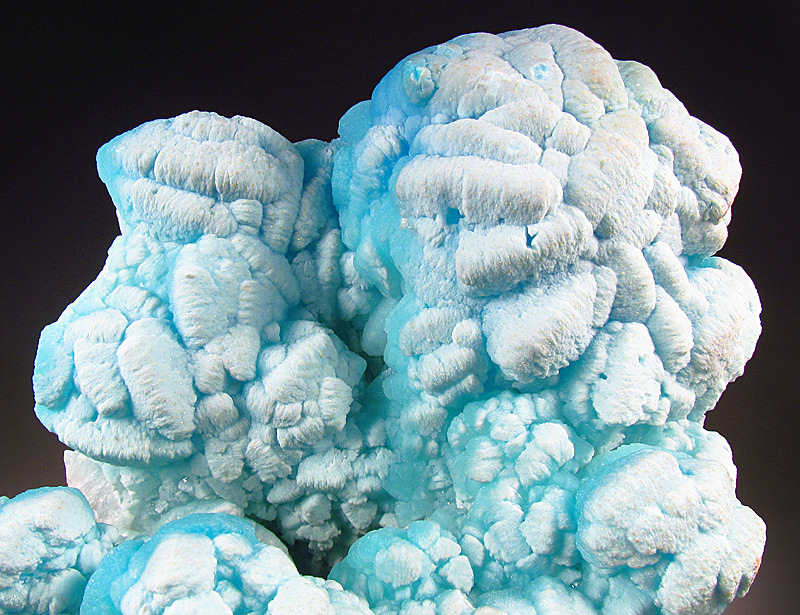 There is a little bruising to the crystals along the perimeter.